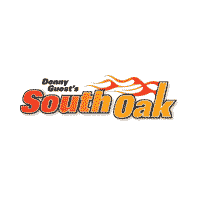 If you’re searching for used car dealerships near Matteson, then take advantage of the extensive inventory available at South Oak Jeep Chrysler Dodge Ram. We want you to drive home in a used car you love and feel good about, which is why we thoroughly inspect each and every vehicle for quality. And because we want you to get a great used car deal as well, we offer plenty of used vehicle offers to further sweeten the deal. Our team will walk you through every step of the used car-buying process – we’ll even be there for you after you leave the lot! Rely of our service department to maintain your used car, and feel free to contact us in the meantime with any questions about our inventory. Gassss saverrrr!!! 26 MPG Hwy! Big grins!! Jeep CERTIFIED! Are you interested in a simply sweet SUV? Then take a look at this rock-hard Sport!! $554 below NADA Retail** New In Stock.. Optional equipment includes: Power Value Group, Transmission: 6-Speed Automatic...Chrysler Certified Pre-Owned means you not only get the reassurance of a 3Mo/3,000Mile Maximum Care Limited Warranty, but also up to a 7-Year/100,000-Mile Powertrain Limited Warranty, a 125-point inspection/reconditioning, 24hr roadside assistance, rental car benefits, and a complete CARFAX vehicle history report. You won't find a better SUV than this great Dodge. Climb into this respectable SXT, and when you roll down the street, people will definitely take notice!!! Priced below NADA Retail!!! This superb Journey is available at just the right price, for just the right person - YOU! All Around champ! Dodge CERTIFIED.. Safety equipment includes: ABS, Traction control, Curtain airbags, Passenger Airbag, Front fog/driving lights...Other features include: Power locks, Power windows, Air conditioning, Front air conditioning zones - Dual, Rear air conditioning...Chrysler Certified Pre-Owned means you not only get the reassurance of a 3Mo/3,000Mile Maximum Care Limited Warranty, but also up to a 7-Year/100,000-Mile Powertrain Limited Warranty, a 125-point inspection/reconditioning, 24hr roadside assistance, rental car benefits, and a complete CARFAX vehicle history report. Do you want it all? Well, with this wonderful Vehicle, you are going to get it* Less than 39k miles!!! You don't have to worry about depreciation on this generous Vehicle!!!!.. All Around hero! Jeep CERTIFIED!!! Optional equipment includes: Comfort/Convenience Group, Engine: 3.2L V6 24V VVT w/ESS, Power Front/Fixed Rear Full Sunroof, SIRIUSXM Satellite Radio...Chrysler Certified Pre-Owned means you not only get the reassurance of a 3Mo/3,000Mile Maximum Care Limited Warranty, but also up to a 7-Year/100,000-Mile Powertrain Limited Warranty, a 125-point inspection/reconditioning, 24hr roadside assistance, rental car benefits, and a complete CARFAX vehicle history report. This is the vehicle for you if you're looking to get great gas mileage on your way to work!! Jeep CERTIFIED! Big grins! Priced below NADA Retail!!! Why pay more for less!!! This vigorous SUV would look so much better out doing all the stuff you need it to, instead of sitting here unutilized on our lot*** 4 Wheel Drive!!!4X4!!!4WD... Optional equipment includes: SIRIUSXM Satellite Radio...Chrysler Certified Pre-Owned means you not only get the reassurance of a 3Mo/3,000Mile Maximum Care Limited Warranty, but also up to a 7-Year/100,000-Mile Powertrain Limited Warranty, a 125-point inspection/reconditioning, 24hr roadside assistance, rental car benefits, and a complete CARFAX vehicle history report.